It's funny how things come in cycles. Here is the second piece of blog info for DenMat in the last few days. It seems that the Santa Maria based company is expanding their holdings, now they have purchased Perioptix, a company that makes surgical telescopes and auxiliary LED lighting systems for dentistry. One of the hygienists in our practice has been using these optics and light for several years and has been very pleased with the product. I understand that the companies will be exhibiting together at the Chicago MidWinter meeting in February 2013. Santa Maria, CA - December 3, 2012 - DenMat, recognized for innovative clinical dental technologies and materials, announced today its signing of a purchase agreement to acquire all outstanding stock of PeriOptix Inc., based in Escondido, California. The parties expect the deal to close in the next few days pending fulfillment of routine closing conditions. PeriOptix is one of the industry's leading providers of high-quality magnification and illumination technologies for dental and medical professionals. PeriOptix is widely respected for its superior clinical vision solutions,” commented Steven Semmelmayer, CEO of DenMat. “From high-resolution lightweight loupes to the award-winning high-intensity SolarisTM LED headlight, PeriOptix empowers clinicians to see things better. Their innovative products are a perfect fit for dentists committed to exceptional restorative and other treatments. Leading product solutions include the Air-XTM super-light frame system designed to be worn over existing eyewear, MicroLineTM“through-the-lens” loupes, the PanoramicTM and HogiesTM flip-up lines, and the popular high performance AdivistaTMlightweight loupes featuring Adidas® sport frames. 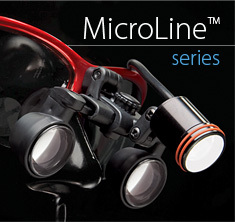 Since its founding, PeriOptix has introduced a number of innovations that include a unique modular frame system for loupes, the first portable LED light source, and a proprietary and patented locking mechanism designed to simplify the adjustment of flip-up style loupes. To learn more about the truly visionary line of PeriOptix solutions, contact DenMat at +1-800-445-0345 or visit www.denmat.com. PeriOptix offers a full suite of high-quality magnification and illumination products, all at an unbeatable value for the clinician. Since its founding in 1999, PeriOptix has introduced a number of innovations in the dental and surgical loupe market, including the first portable LED light source. For more information, call +1-949-366-3333 or visit www.perioptix.com. DenMat manufactures a broad range of cosmetic and restorative solutions as well as innovative small equipment devices, available in the U.S. and over 68 countries worldwide. LUMINEERS®, the contact-lens thin veneer system is the flagship of DenMat's Smile Solutions portfolio, along with Snap-On SmileTM, the Ultimate Provisional. DenMat also offers globally recognized brands such as Splash!® super-hydrophillic impression material, Lumibrite® chairside and take-home tooth whitening, Geristore® multi-use resin ionomer, FLASHLite® Portable LED Curing Light, and the Sapphire® platform of Plasma Arc Curing and soft tissue laser devices. Recently, DenMat became the exclusive distributor of the VELscope Vx®, the world’s leading adjunctive oral cancer screening device. In addition to award-winning products, DenMat also offers a wide array of continuing education programs, including Destination Education events. For more information, call +1-800-445-0345 or visitwww.denmat.com.